Nahid was born in 1952 in the city of Qouchan, northeast of Iran. After finishing high school, she went to Mashshad to continue her education. Then she got a job as a teacher and started teaching in a school on the outskirts of her hometown, Qouchan. During the revolution, she was very active in organizing the women and girls in her city. After the victory of the revolution, she worked with different departments including the teachers, the students and the mothers’ associations. Nahid was dismissed from her teaching job when the new government of the mullahs started purging women from work places. She subsequently moved to Tehran and became more actively involved with the PMOI. 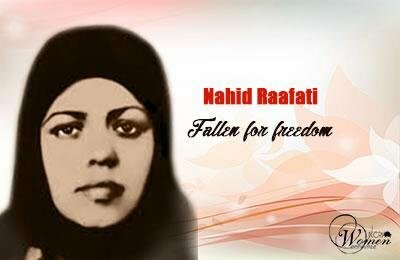 Finally, she was slain in the February 8th attack in 1982.